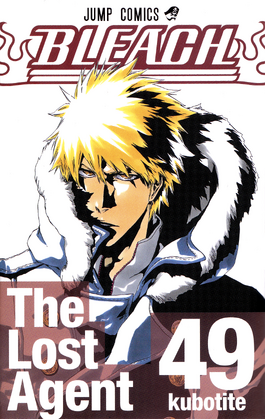 Ichigo Kurosaki is a rough-and-tumble teenager who has always had the special ability to see spirits. The story begins with the sudden appearance of an oddly-dressed stranger in Ichigo's bedroom. This stranger is the shinigami Rukia Kuchiki, who is surprised at his ability to see her. Their resulting conversation is interrupted by the appearance of a hollow, an evil spirit. After Rukia is severely wounded during battle trying to protect Ichigo, she decides to transfer half of her powers to Ichigo, hoping to give him the opportunity to face the hollow on an equal footing. Ichigo unintentionally absorbs almost all of Rukia's powers during the attempt instead, allowing him to defeat the hollow with ease. The next day, Rukia turns up in Ichigo's classroom as a transfer student. Much to his surprise, she now appears to be a normal human. She theorizes that it was the unusual strength of Ichigo's spirit that caused him to fully absorb her powers, thus leaving her stranded in the human world. Rukia has transferred herself into a gigai (an artificial human body) while waiting to recover her abilities. In the meantime, Ichigo must take over her job as a Shinigami, battling hollows and guiding lost souls to the afterlife. Volume 1 "The Death and the Strawberry"
004 "Why Do You Eat It?" 007 "The Pink Cheeked Parakeet"
Volume 2 "Goodbye Parakeet, Goodnite My Sista"
009 "Monster and a Transfer"
010 "Monster and a Transfer Pt. 2"
012 "The Gate of the End"
Volume 3 "Memories in the Rain"
018 "Can't Smile Don't Blame"
019 "Memories in the Rain"
023 "Sharp Intent, Dull Blade"
024 "All One Way Sympathies"
Volume 4 "Quincy Archer Hates You"
027 "Spirits Ain't Always With Us"
031 "Heros Can Save You"
032 "Hero is Always With Me?" 034 "Quincy Archer Hates You"
Volume 5 "Rightarm of the Giant"
035 "Can You Be My Enemy?" 036 "For the Sake of Revenge"
039 "Rightarm of The Giant"
042 "Princess & Dragon Pt. 2"
043 "Princess & Dragon Pt. 3"
Volume 6 "The Death Trilogy Overture"
047 "Back to Back~Tearing Sky"
050 "Quincy Archer Hates You Pt. 2"
Volume 7 "The Broken Coda"
053 "Nice to Meet You. I Will..."
054 "The Rookie That Can't..."
059 "Lesson 1: One Strike..."
061 "Lesson 2: Shattered Shaft"
Volume 8 "The Blade and Me"
062 "Lesson 2-2: Bad Endin' In..."
066 "The Blade and Me"
070 "Where Hollows Fear To Tread"
Volume 9 "Fourteen Days For Conspiracy"
077 "My Name is Ganjyu"
078 "Meet it at Basement"
079 "Fourteen Days For Cospiracy"
Volume 10 "Tattoo on the Sky"
080 "The Shooting Star Project"
084 "The Shooting Star Project 2"
086 "Making Good Relations, OK?" 088 "So Unlucky We Are"
Volume 11 "A Star and a Stray Dog"
090 "See You Under a Firework"
093 "Steer For the Star"
097 "Talk About Your Fear"
098 "The Star and the Tramp"
Volume 12 "Flower on the Precipice"
099 "Dead Black War Cloud"
100 "Like the Flower on the Rock Wall"
101 "Split Under The Red Stalk"
105 "Spring, Spring, Meets the Tiger"
109 "Like a Tiger That Does Not..."
110 "Dark Side of Universe"
114 "All About the Crumbling World"
Volume 14 "White Tower Rocks"
119 "Secret of the Moon"
120 "Shake Hands With Grenades"
121 "In Sane We Trust"
122 "Don't Lose Your Grip On"
123 "Pledge My Pride To"
Volume 15 "Beginning of the Death of Tomorrow"
126 "The Last of a Void War"
127 "Beginning of the Death of Tomorrow"
128 "The Great Joint Struggle Union"
129 "The Song of Training for the.. Op. 1"
130 "The Song of Training for the... Op. 2"
Volume 16 "Night of Wijnruit"
136 "Night of the Wijnruit"
Volume 17 "Rosa Rubicundior, Lilio Candidior"
140 "Bite at the Moon"
141 "Kneel to the Baboon King"
142 "Tsuki Wo Tora Umono Ha Tsugu"
144 "Rosa Rubicundior, Lillior Candidor"
146 "Demon Loves the Dark"
147 "Countdown To The End: 3"
148 "Countdown To The End: 2"
149 "Countdown To The End: 1"
Volume 18 "The Deathberry Returns"
150 "Countdown To The End: 0"
154 "The God of Flash"
Volume 19 "The Black Moon Rising"
159 "Long Way To Say Goodbye"
160 "Battle on the Guillotine Hill"
163 "The Speed Phantom 2"
164 "That Who Change The World"
165 "Dark Side of Universe 2"
166 "Black & White 2"
168 "Behind Me, Behind You"
Volume 20 "End of Hypnosise"
173 "Standing to Defend You"
175 "The Truth Under My Strings"
178 "No One Stand on the Sky"
Volume 21 "Be My Family or Not"
179 "Confession in the Twilight"
180 "Something in the Aftermath"
181 "And The Rain Left Off"
182 "Get Back From The Storm"
183 "Eyes of the Unknown"
185 "Be My Family or Not"
186 "Tell Your Children The Truth"
187 "The Cigar Blues Part Two"
188 "Crush the World Down"
196 "Punch Down The Stone Circle"
Volume 24 "Immanent God Blues"
210 "Don't Call Me Nino"
212 "You Don't Hear My Name Anymore"
Volume 25 "No Shaking Throne"
215 "Tug Your God Out"
216 "The Suppression of Darkness"
217 "Hole in My Heart"
218 "Dark Side of Universe 3"
219 "Black and White 3"
220 "Horse & His King"
221 "Let Eat The World's End"
Volume 26 "The Mascaron Drive"
225 "Slip Into My Barrier"
226 "The Right of The Heart"
232 "The Mascaron Drive 2"
Volume 27 "Goodbye Halcyon Days"
236 "The Sun Already Gone Down"
237 "Good Bye Halcyon Days"
242 "TWO MEN ARE BURNING"
Volume 28 "Baron's Lecture Full-Course"
243 "The Knuckle & The Arrow"
244 "Born From The Fear"
245 "THE WAY WITHOUT ENEMIES"
246 "The Great Desert Bros."
247 "United On the Desert by WinterLion"
248 "To live and return to this place again..."
249 "Back to the Innocent"
250 "Five Ways To Three Figures"
251 "Baron's Lecture 1st Period"
Volume 29 "The Slashing Opera"
252 "Rebut To The Barons's Lecture"
253 "Don't Call Me Nino"
255 "Don't Breathe In The Bush"
260 "Right Arm of the Giant 2"
Volume 30 "There is No Heart Without You"
261 "Left Arm of the Devil"
264 "Don't Say That Name Again"
266 "Hide Away From The Sun"
267 "Legions of the Reglets"
268 "You must not die"
269 "The End Is Near"
Volume 31 "Don't Kill My Volupture"
271 "If You Rise From The Ashes"
272 "Don't Kill My Volupture"
283 "You Don't Hurt Anyone"
284 "Historia de Pantera y su Sombras"
285 "Eating Meat, Alone--The Loneliness of the..."
Volume 33 "The Bad Joke"
287 "Don't Forget Until You Die"
291 "Thank You For Defend Me"
294 "If You Call Me Beast, Kill You Like Tempest"
Volume 34 "King Of The Kill"
296 "Changed Again and Again"
297 "King of the Kill"
301 "Shut up & Die"
302 "Pride on the Blade"
Volume 35 "Higher Than The Moon"
306 "Not perfect is GOoD"
307 "Bite it, Slash it"
309 "Pray For the Mantis"
310 "Four Arms To Killing You"
313 "To Close Your World"
314 "Night Side of Abduction"
315 "March of the Death"
Volume 36 "Turn Back The Pendulum"
-108 "Turn Back The Pendulum"
-107 "Turn Back The Pendulum 2"
-106 "Turn Back The Pendulum 3"
-105 "Turn Back The Pendulum 4"
-104 "Turn Back The Pendulum 5"
-103 "Turn Back The Pendulum 6"
-102 "Turn Back The Pendulum 7"
-101 "Turn Back The Pendulum 8"
-100 "Turn Back The Pendulum 9"
Volume 37 "Beauty Is So Solitary"
Volume 38 "Fear for Fight"
Volume 42 "Shock of the Queen"
360 "Shock of the Queen"
361 "I hate Loneliness, But It Loves Me"
365 "Whose Side Are We On"
367 "Your Enemy is My Enemy"
Volume 43 "Kingdom of Hollow"
369 "Spit On Your Own God"
370 "Debating Life from God's..."
372 "The Metal Cudgel Flinger"
373 "Wolves Aint Howl Alone"
374 "Grey Wolves, Red Blood, Black Cl.."
377 "Shout at the Dark"
378 "Eyes of the Victor"
380 "Devil, Devil, Devil, Devil"
381 "Words Just Don't Like You"
382 "The United Front [Discordeque Mix]"
383 "Too Early To Trust"
384 "Can't Fear Your Own Sword"
Volume 45 "The Burnout Inferno"
388 "Eagle Without Wings 2"
390 "Beyond The Death Understanding"
394 "The Burnout Inferno 2"
395 "The Burnout Inferno 3"
Volume 46 "Back From Blind"
397 "Edge of the Silence"
Volume 47 "End Of The Chrysalis Age"
406 "Deicide 8 End of the Chrysalis Age"
Volume 48 "God Is Dead"
416. "Deicide 18 [The End]"
419. "Deicide 21 [Transcendent God Rock]"
Volume 49 "The Lost Agent"
425 "A Day Without Melodies"
429 "Welcome to our Execution"
430 "Welcome to our Execution 2"
431 "Welcome to our Execution 3"
Volume 50 "The Six Fullbringers"
434 "Berry in the Box"
435 "Panic a the Dollhouse"
Updated Vols. 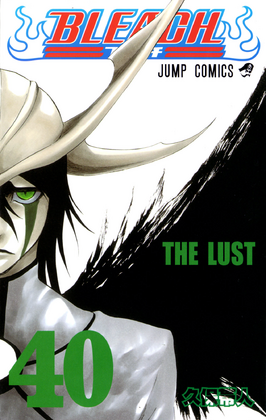 43 to 50 added plus chapters up to date! !